What is the Function of a Durable Power of Attorney? A durable power of attorney is a document. This document grants the authority to act for another person in specified or all legal or financial matters. This stays in effect if you become incapacitated and unable to handle matters on your own. How Does my Will Remain Valid While I am Alive? It takes many people a long time to decide to make a list of their assets. 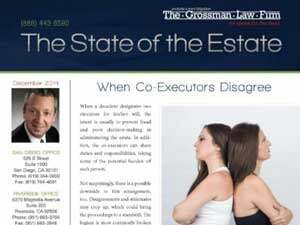 Let alone create a will to distribute their property among family, friends, or charities after their death. Once the will has been written, however, its author may live many more years. During that time, a great many changes will have taken place, such as divorces, deaths, marriages, births, new assets, and losses. Serious California estate planning attorneys offer the ability to, for a nominal fee, review a will periodically. He or she will ask about changes in the family and other potential beneficiaries, as well as checking on the situation and value of the person’s assets and property ownership. Following a detailed checklist, these periodic updates trigger either a new will or codicils in which the amendments are formalized. 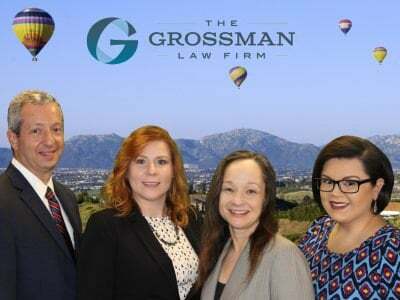 When the person reaches a stage of increasing incapacity due to illness or old age, the attorney will propose a durable power of attorney, which gives another person the right to administer the estate and update the will in the person’s place. 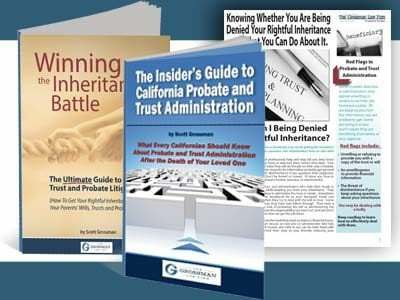 Call probate attorney Scott Grossman for a free discussion of your case, and order his free book The Insider’s Guide to California Probate and Trust Administration.